I brought the baby into our bedroom this morning while my husband was getting ready for work. "Daddy! Daddy! Daddy, Daddy, Daddy! ", Lincoln exclaimed when he saw my husband. My husband looked at me and his smiling baby boy as he buttoned his work shirt and said, "You wanna know something cruel about going out into the real world every day? You'll never be as cool to any of them as you are to your kids." I laughed. And, I thought of these pictures. 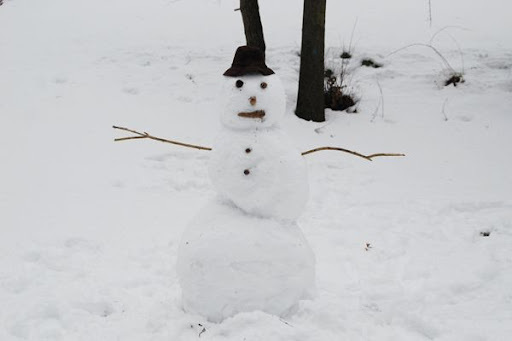 This is the snowman my husband made for my boys on Saturday. He isn't just any snowman. 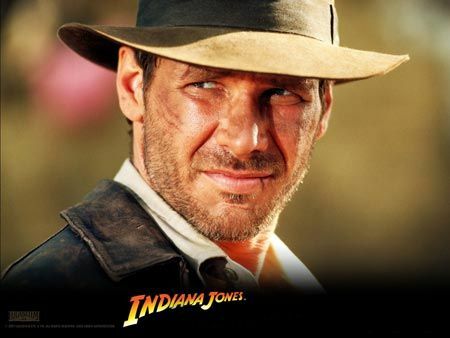 He's an Indiana Jones snowman. Recognize that smile? The one Max first introduced us to on the grocery store horse? It's got the classic Indiana smile. And, here are my little Indiana Jones wannabes - each doing their best Indiana Jones impression. 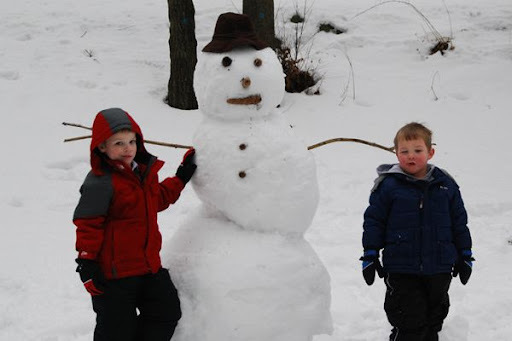 And, proudly standing next to the snowman that their Dad custom made. I suppose it's the way it should be. Dad is coolest at home. Cool! I love the snowman, the cute kids and this post! my girl was just saying how super awesome her daddy was today. and I quite agree. Love that snowman by the way. love this! 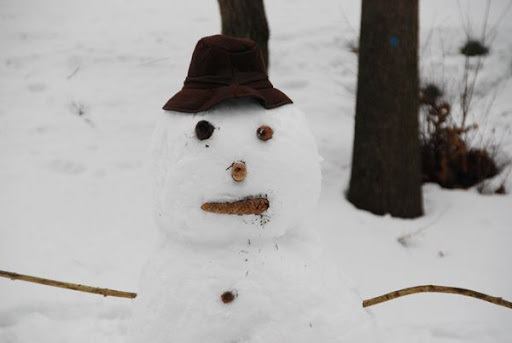 we don't have enough snow to make snowmen :o) i sort of miss it but definitely don't miss the cold. i have been enjoying our 50 degree weather. Great job on the snowman, J. LOVE the Indy snowman!!! I'm sure the boys were absolutely thrilled with it (and the time with Dad).